many ask me why i use the name whytetyger and all i can answer is that i have felt an affinity for the tiger since i was a young girl. watching a magic act (many of you might have heard of siegfried and roy) i was thrilled with their performance but mesmerized by the white tigers they used in their act. 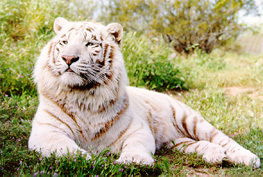 there was just something about the white tiger that created a bond with me and i have been a "tiger lover" ever since. they are truly a majestic entity and if we are not careful with those that are left, the few remaining species will no longer be endangered, but extinct. just the thought of future generations of children not being able to experience the power, grace and majesty of these beautiful animals saddens me greatly. i am a firm supporter of "save the tiger" and do what little i can to further the effort and hope that you too can appreciate the tiger for what it once was, now is and hopefully will always be. please check out the tiger links page. you never know, you might learn something interesting, exciting and new. i hope you enjoy my page of favorite tiger pictures as well. if you enjoy your visit to my site, please pass it on to your friends and don't forget to sign the guest book please. all writing is copyrighted and therefore cannot be copied or used without permission. you are more than welcome to share my complete page of any of my original works, but if you want to copy any poem or poems to your site you must contact me prior to doing so. i welcome and encourage links as it is a quick way to "get around". i just request notification of any links you may add my site to. if you would like to be linked to this site, please send me your site information and i will check it out and get back with you as soon as possible. 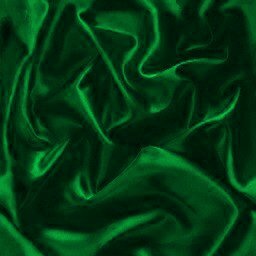 i have a lot of friends that have special and/or unique talents developed on sites of their own that i would also like to share with you, so please check out my friends link page as well. also check out my fun links page. you may find a new place to laugh and play or may be reacquainted with an old but updated hangout. my favorites are pogo.com (formerly excite.com) for playing classic card games like hearts, spades and euchre. yahoo.com is great for canasta and pinochle and the gaming zone has the best cribbage and backgammon. all fun links are free sites with dozens of games to choose from. meet, play with and make friends from all over the world. if you have any questions, suggestions or corrections regarding anything about my site, please contact me at whytetygers@netscape.net or tygs812@netscape.net or icq contacts at http://wwp.icq.com/13831535. i will reply to all legitimate correspondence as soon as possible.